This Special Edition Pattern Packet is huge! There are 12 full color pages of all 5 sides from start to finish alone, and pages with step by step drawings of how to sculpt the leaves and rose on the lid top....and instructions to paint and crackle the background and the details of the designs on all 5 sides! 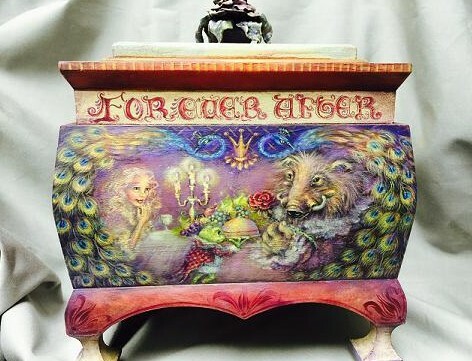 The beautiful Bombay Box and sculpting material, Quikwood, are available from this site, Bobbie T. Arts, Inc.